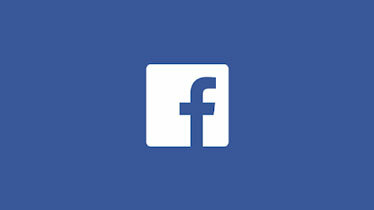 24 hours, 16 projects and hundreds of ideas. 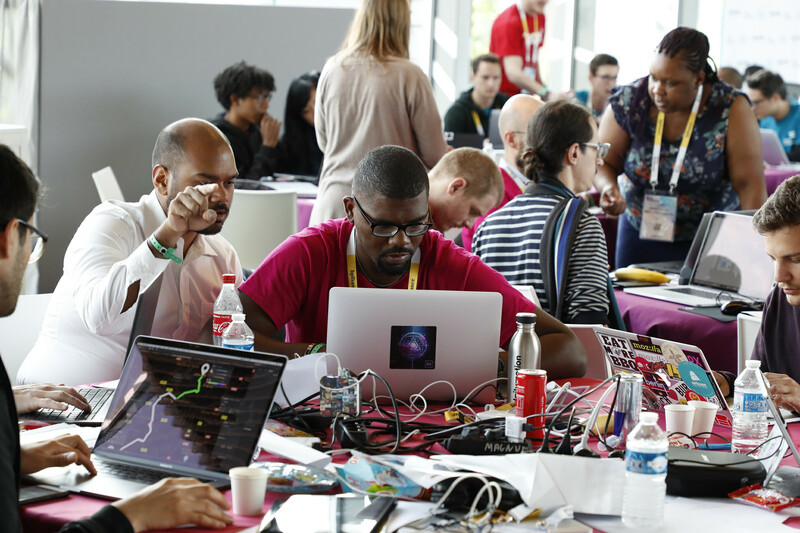 The Groupe Renault TechCrunch Hackathon fulfilled all of its promises during the 2018 Vivatech Show. Thanks to the numerous participants and Groupe Renault mentor-experts, the future of the autonomous vehicle is looking extremely bright. Four Groupe Renault experts are here to support the teams. Valerie Pascual, José Santinho, Sandrine Woll and Pascal Zylberstejn are specialists in robo vehicles, autonomous vehicles and connected services. And the ideas are coming heavy and fast. 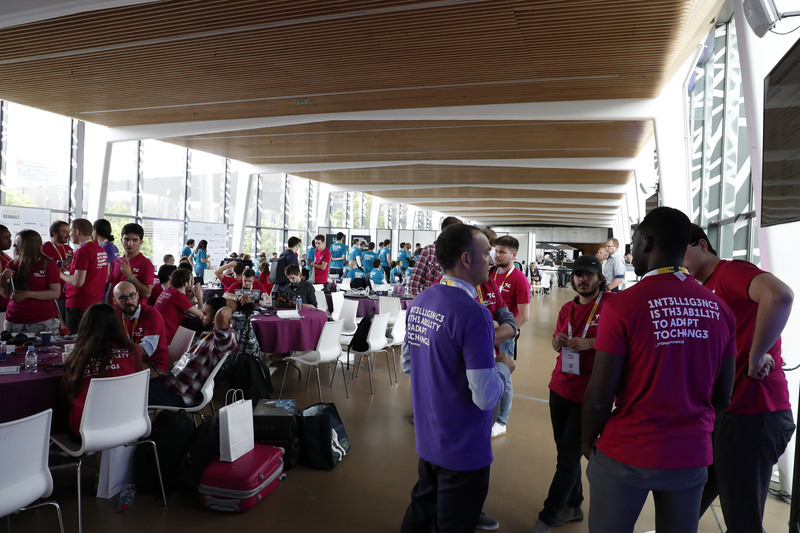 Working at large round tables, the teams start to form around shared goals and the initial projects are submitted to the approval of the experts. “How about a Pokémon Go with monuments for an augmented tourism experience?” says one participant. “And autonomous transport to enhance the mobility of seniors?” says another. After a few hours, the initial rowdiness has died down. The teams are now fully formed and the ideas have been honed. “It’s an excellent idea and the issue of vehicle autonomy is key to this project,” says a mentor about a parking space location system for autonomous vehicles. The hackathon now moves into its IT coding phase. Night falls and a good 15 hours still remain. Midday Saturday, the end of the challenge nears. The presentations are thoroughly checked and the last details refined. After a busy night, the tables that were neat and tidy the day before have now seen the passage of food, drinks and many hours of work. The faces of the participants are tired but determined. The much-anticipated presentations are fast approaching. The teams have one minute to convince (in English) the Groupe Renault jury of Philippe Clogenson, Mathieu Lips and Laurent Taupin, autonomous vehicle specialists. At the conclusion of the hackathon, the jury reviews 16 projects ranging from the gamification of autonomous vehicle data, augmented reality tourism, and a blockchain system for making vehicle lending easier. The teams have worked hard to win over the demanding jury. The presentations are made on a special stage in front of the numerous participants, enthusiastic to find out more about the ideas of their peers. And the winner is... “AutoPark”. The real-life benefit for customers was central to the Groupe Renault jury’s choice of the winning project. “The service has to provide a technological solution to a problem experienced by drivers or passengers,” said the jury. After a lively deliberation, the jury chose the parking solution as the winning project because it could be rapidly rolled out and, above all, provides a real benefit for users – still further proof of the “Easy Life” by Renault. For Matthieu, a member of the winning “AutoPark” team, the prize was the culmination of a stimulating day. 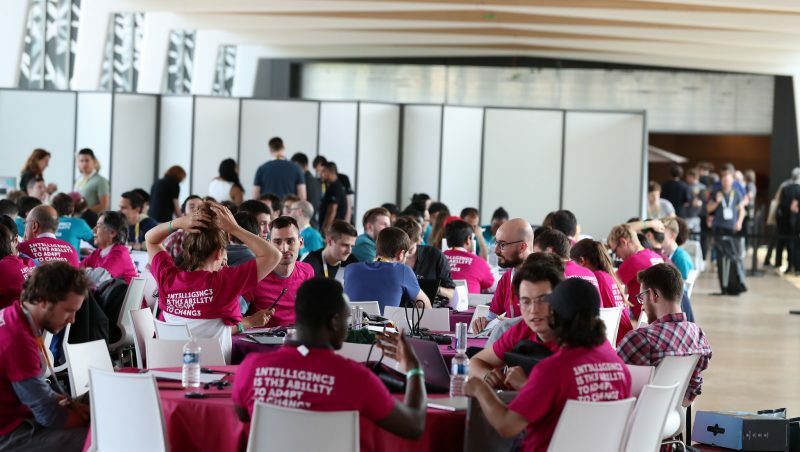 With contented participants, successful mentors and an interested jury, Groupe Renault’s first participation in the TechCrunch @Vivatech hackathon proved an immense success! Watch the presentation of the winning Team Autopark.